Samantha Kim was selected as a Top Ten Winner in our Spring 2014 national art contest. Her art, “Gift from the Wind“, is shown above. At the time of her award, Samantha was in 11th grade at Memorial High School in Texas. Samantha loves painting portraits of dogs. 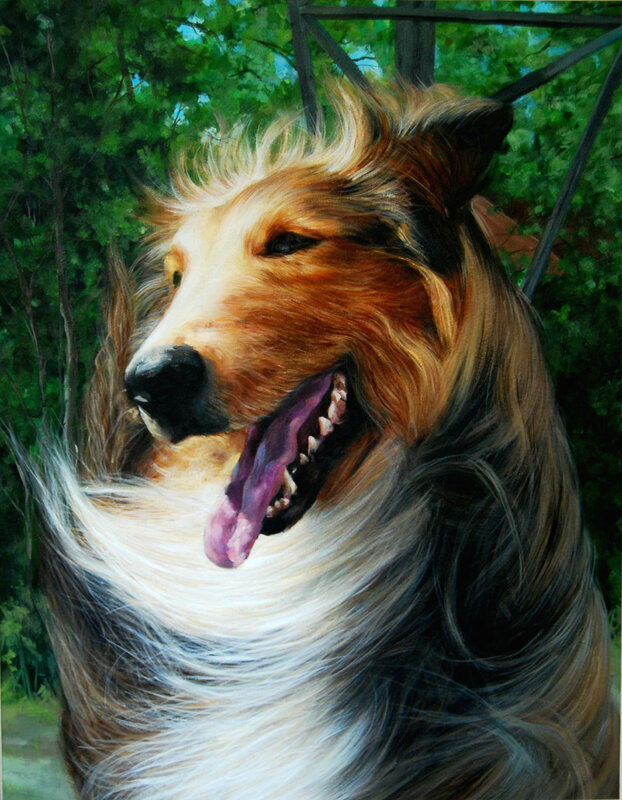 For her Top Ten piece, she painted realistically to show the details of the dog’s hair. Ross Hines is originally from Oklahoma, but made the move down to Texas after finishing college. He holds a Bachelors of Fine Arts in Art with a minor in Art History from the University of Oklahoma and a Bachelor in Fine Arts in Art Education from the University of Central Oklahoma. 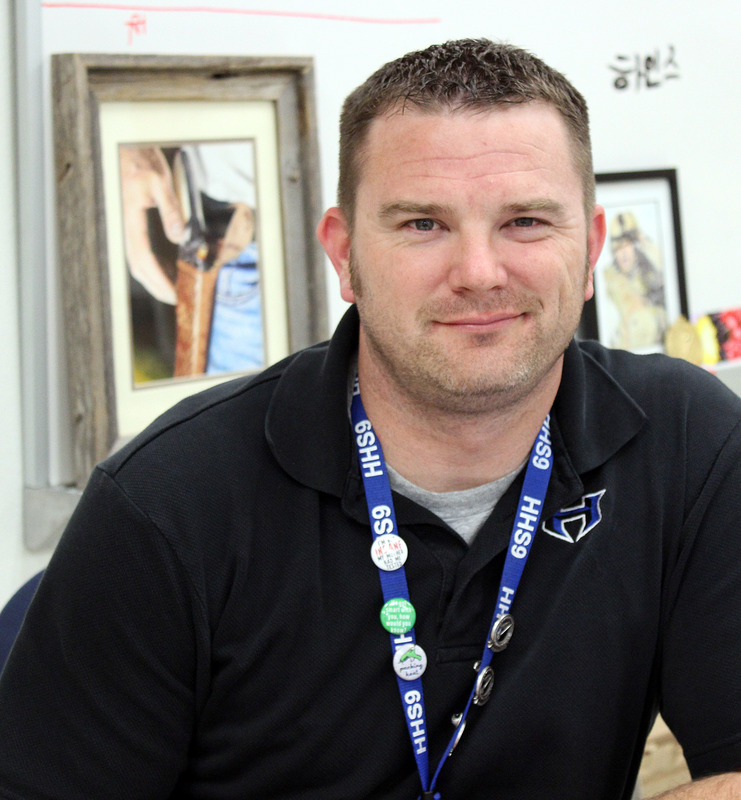 Ross has spent nearly six years at the Hebron High School complex in the Lewisville Independent School District, with two years at the main campus and the last four at the new 9th Grade Campus which he helped open. Ross has had over 130 student art pieces published in our national anthologies since the Spring 2011 contest. Even more impressively, he has had 16 Top Ten Winners since that time. This is a phenomenal number, and one of the highest of any school that has participated in our contest. This speaks volumes about the quality of his program and the work he does to inspire student artists. Claire was 15 years old when her art was selected as a Top Ten Winner in our Fall 2013 national art contest. Claire is from Sartell, a small town in central Minnesota, and has always wanted to be an artist. At the time of publication, she was attending Cathedral High School in St. Cloud with her twin sister. Her first art award was a blue ribbon at the State Fair for a pastel of her twin sister as a baby. Claire loves to play tennis and she plays on Cathedral’s Varsity tennis team. 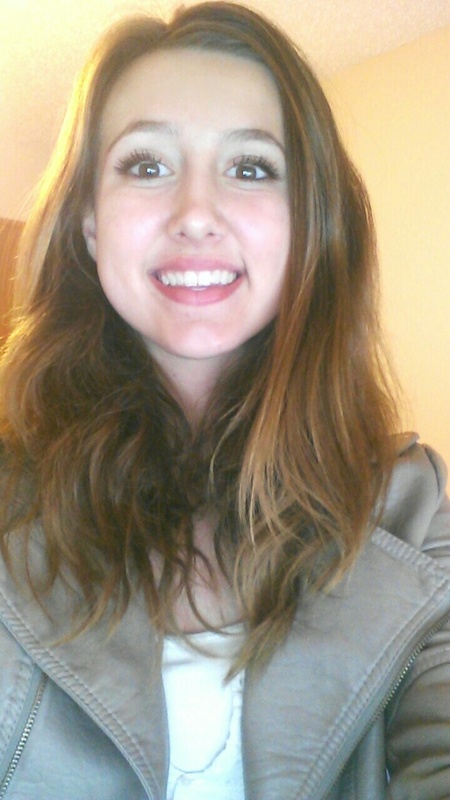 She also enjoys spending time with friends, taking art classes, and participating in track and theatre. Claire has studied art at the Riverside Art Studio, the Harvey Schroeder Painting Studio, the Atelier Studio of Fine Art in Minneapolis and the MeiLin Art Studio. She’s traveled hundreds of miles to receive the best art instruction she can because she wants to be the best artist she can be. Her college goal is to receive a Bachelor degree in Fine Arts with an emphasis in painting. Claire has had ten pieces win fourteen High School awards. 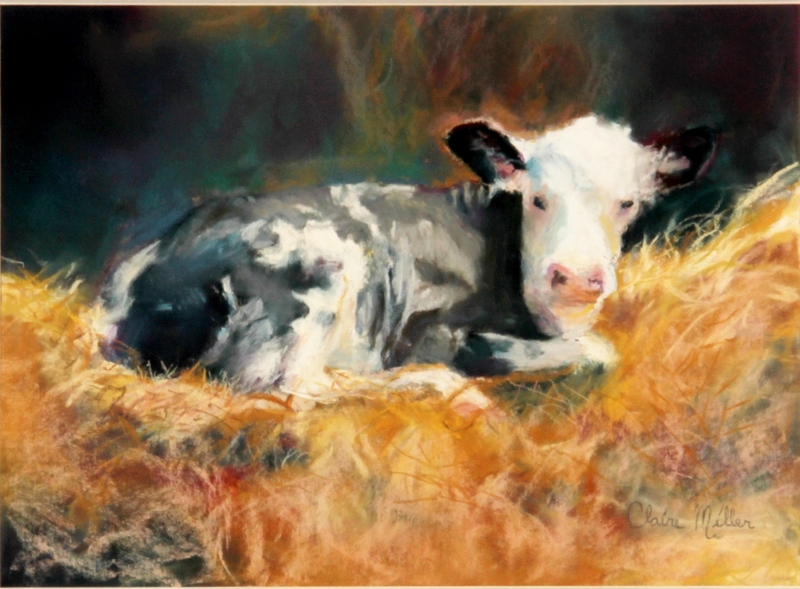 She has also placed second in the Great River Arts Association Summertime in Minnesota Exhibition, a statewide professional juried art competition in Little Falls, Minnesota for one of her other watercolor pastel drawings of a bee with flowers. She just completed her first solo art exhibition at the Great River Regional Library in St. Cloud which displayed eighteen of her pieces. To learn about our national art contests, visit www.celebratingart.com.